Exterior Grills and Scoops for 2005-2008 R52 MINI Cooper S Cabrio Convertible. 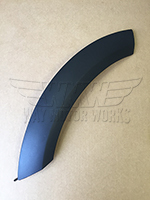 These include Aero Grills, Steel grills, carbon fiber hood scoops, big hood scoops, and more. These are OEM MINI parts, JCW, M7, and MINIFINI.